Two more South Koreans were reported to have been seriously wounded in the deadly van attack in Toronto, Canada, increasing the number of Korean casualties from the suspected terror attack, the foreign ministry said Wednesday. "Two South Koreans were additionally reported to have been seriously wounded from the latest car rush attack," the ministry said, citing information from the Canadian police. 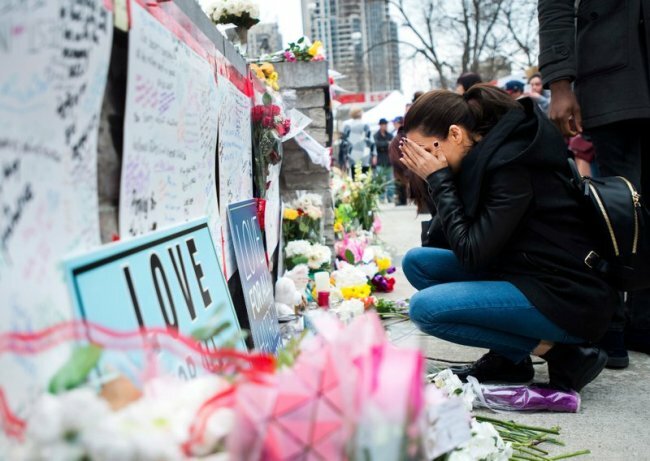 A white van plowed down a Toronto sidewalk crowded with pedestrians, killing 10 people in total and hurting 14 others. Foreign reports said a 25-year-old man named Alek Minassian was charged on Tuesday with multiple accounts of murder and attempted murder. The motive of the attack has not yet been determined, but he reportedly paid homage to a mass killer on his Facebook account before the attack. The South Korean ministry said 17 other South Koreans were initially reported to have been out of touch following the attack, but the safety of all of them has been confirmed.